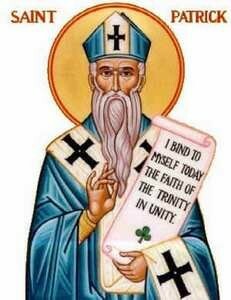 Making sure that Saint Patrick receives his full due, the following is a famous prayer attributed to the Bishop. It is called the Lorica or the Breast-Plate and is a wonderful example of Patrick’s taking a druidic form and “baptizing” it into a Christian hymn. This translation is taken from this The Prayer Foundation.